How Much Does it Cost to Power a 2000 Square Foot House? Solar Home Power Packages range in price based on Kilowatts of Solar Needed to offset Energy usage. We can determine your package by looking at your current utility usage. 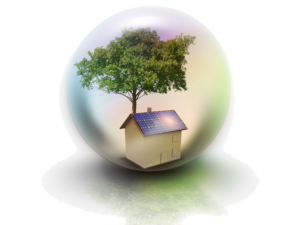 Other factors determining Solar System sizing relate to how energy efficient your home or business is. Square Footage is not a measurement related to the size of a solar system. Prices for Home Power Systems start at $8,000 or $3 Per watt + Installation. Pricing can be finalized once our Solar Specialist is able to determine all the cost factors related to the structure. We also have many specials running throughout the year that make Solar more affordable than ever. All systems also qualify for 30% Federal Tax Credit which can carry over up to 5 years. Does a Grid Tie System work at Night or during low sunlight hours? Grid Tie Systems use generated power from the Sun throughout the Day and sell back excess power generated. At night, power is purchased from the Utility Company at lower rates. A solar home will have continuous power from both sources as long as the Solar system sees the Utility Grid. Will I have power during an outage? In order to have continuous power when the utility company is offline, you must have storage capacity in either Batteries or via an onsite Generator. Solar is disconnected as a safety feature during a power outage. For many this is a rare occasion. Battery Primary or Combination systems carry an added cost of the battery pack, but have the benefit of uninterrupted power during outages or in Emergency situations. Can I run my Air Conditioning on the Solar System? Air Conditioning, Ovens, Washers & Dryers are large loads for a solar system. Grid Tie Systems power the whole house. If more energy is created than used, you can sell back the excess. If more energy is used than created, you will offset your usage with the solar system. In the event of a Power outage, a battery primary solar system will provide power for dedicated circuits through a sub-panel box next to your main Electrical Box. The sub panel box will most likely contain breakers for essential items such as lighting, refrigeration, well pumps, entertainment, microwave and small outlets for fans. Efficient Air Zone A/C units such as the Pioneer Ductless Air conditioners or geo-thermal AC units offer a way to include some cooling with a traditional Solar System. Otherwise, you would need a very large solar system, for continuous Air Conditioning during an outage. The batteries will continually recharge each day, but are designed not to deplete themselves saving the battery life for years to come. What if I have Trees? Solar Panels must be in a non-shaded place on your home, business, or property. The optimal placement is on a southern exposure free of shading. Panels may be installed on the roof, on a ground mount, or on tracking devices depending on the site. Systems are designed for maximum sun hours throughout the year. There will be a longer solar window during the summer months, and a smaller window with the shorter days of winter. 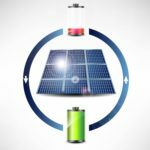 How long does the Solar Equipment last? Solar Panels carry 25-30 year Warranties, but will continue to produce power far longer. Inverters are warranted for 5-10 years. Our Blue Printed Batteries have a proven 30+ year lifespan and are comprised of materials that can be recycled. Lithium Iron Phosphate battery packs have varied warranties between 3 and 10 years, as do Inverters. Do I need a new Water Tank to put a Hot Water System on my House? Our Geo Spring Hot water heating System includes a High Efficiency, low Energy Water Heater. This system incorporates (2) Solar Panels with Micro Inverters to offset the power consumption of the Hybrid Unit. There are 3 settings for optimal performance with this system and there is never an issue with Freeze Damage in winter. This system starts at $3600 and is eligible for a 30% Federal Tax Credit. How many panels are in a Pool Heating System? Pool heating systems are based on size of pool, (Gallons of Water, Shallow to deep end, etc.). Screened in Pools are a great fit for Solar Pool heating, as the pool typically receives no sunlight to heat the pool externally. Residential pool packages would be 8-12 4×10 or 4×12 panels, and start at $3200. What is the Cost benefit of Solar with Rebates and Tax Incentives? The Federal Government has implemented a 30% Tax Credit for Solar Systems. This credit is not a refund or rebate, but a credit. Businesses also receive accelerated depreciation benefits from Solar. Some States and Utility Providers offer rebates for Solar, and these are detailed on the DSIRE website for each area. Solar is an asset that produces power. Like any asset to your home or business; your roof, refrigerator, light fixtures, etc. there are inherent benefits to ownership. Utility companies use the term pay back to compare the asset of solar to an expense, your utility bill. This term is inaccurate and misleading. Solar is a valuable component for generating power. Rebates and tax incentives reduce the initial costs of your system and we help with all necessary paperwork for you to receive the maximum benefit from these programs. 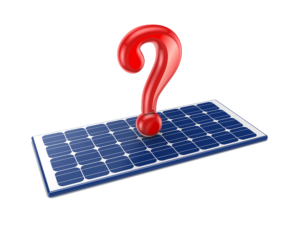 Are Loans and Grants Available for Solar Systems? 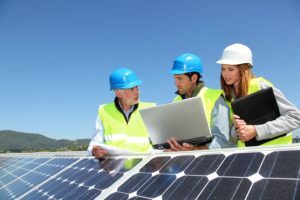 Many Florida Counties are now offering PACE, a Property Assessment Financing option for Solar Systems. Essentially, through approved providers, you can finance solar via an annual property tax assessment for up to 25 years. The loan is guaranteed by, and stays with, the Property. The property owner may pay off the loan or it will move to the next owner if the property is sold. Savings from utility bills should offset the annual property assessment. This is especially popular with Commercial Solar Applications as there is no personal guaranty and no money down payment required. 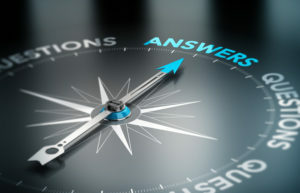 The assessment does not impact the Corporate Balance Sheet. Companies get the benefit of the Tax Credits, and accelerated Depreciation as well. Solar is also exempt from Florida Sales Tax and there is no Ad Valorum increase in property tax for the Solar. Agricultural Loans and Grants are Also Available for Rural Business owners through local County Extension offices. 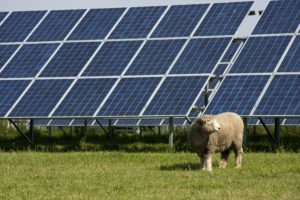 The Rural Energy for America Program offers Grants of up to 25% of the Eligible Costs for Solar Electricity on Farms and livestock Ranches. There are also Grants for Solar Water Pumping for Cattle and Agriculture through USDA NRCS Programs. Grant Writers are available to help with the process for eligible applicants.